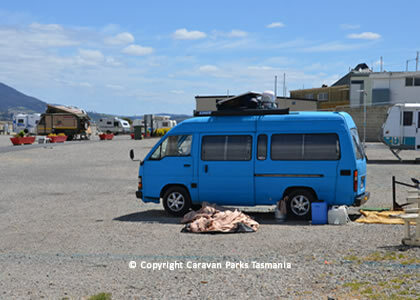 The Caravan Park at Hobart Showgrounds, Elwick Tasmania is the closest camping area, being just 15 minutes north of Hobart CBD and a 2 minute walk to public transport. All pets are welcome; bookings must be made online or via the office during business hours. 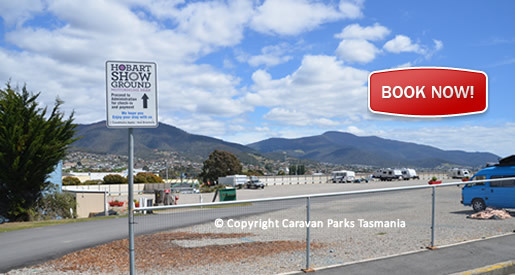 This park is closed annually during the Royal Hobart Show, which is held in the 3rd week in October. 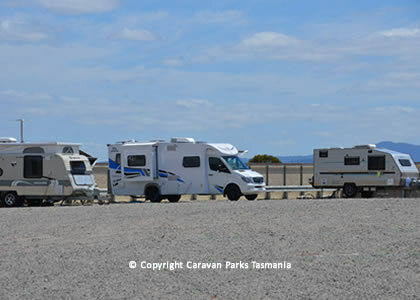 The Hobart Caravan Park, Elwick Showgrounds is within walking distance to medical facilities, retailers, shopping facilities, restaurants, a cinema complex, library and swimming pool. 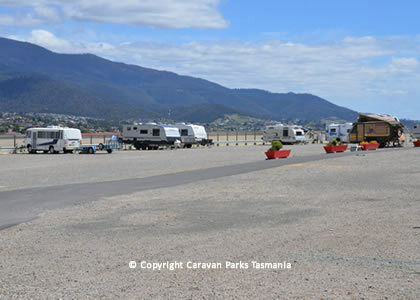 This caravan park near Hobart can accommodate tents, slide-ons, motorhomes, 5th wheelers and caravans. Tent only camping is offered. 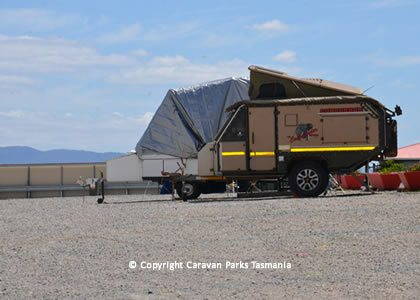 The park has full shower facilities, toilet and laundry facilities. There is a dump point on site. 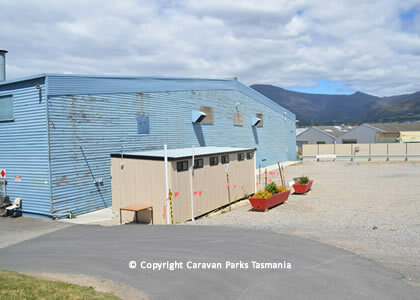 Powered sites are available; there is safe bike access to Hobart via the Hobart cycle track. The park is close to MONA museum, Cadbury Factory, the Royal Hobart Botanical Gardens and Salamanca Market. 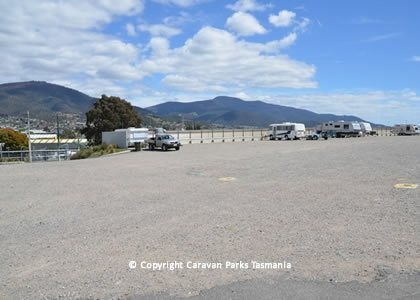 To enter the park if travelling North from Hobart on the Brooker Highway, turn into Howard Road at the Howard Road Roundabout (right next to Bunnings). Turn right into the Showground main entrance and proceed to Administration Building. The office is open 8am-6pm – Monday to Friday. 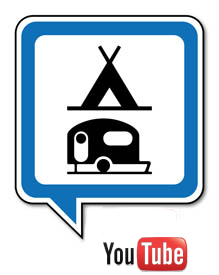 If the Administration Building is closed, use the online booking system or find your way to a motorhome volunteers.